The management at Schneider Children’s Medical Center announced the appointment of Dr. Dario Prais as the new Director of the Institute of Pulmonology. He replaces Prof. Hannah Blau who has retired. Dr. Prais is married, a father of three children and lives in Kfar Saba. He previously served as the head of clinical services for chronic lung disease in the Pulmonology Institute at Schneider Children’s. 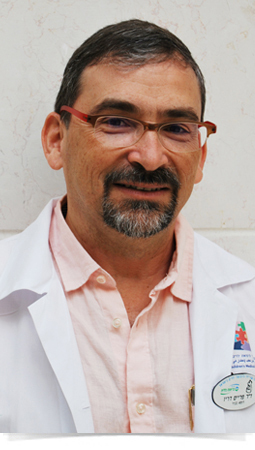 A graduate of the Hebrew University in Jerusalem, Dr. Prais specialized in Pediatrics and then sub-specialized in pediatric lung disease at Schneider Children’s. In 2011, he was awarded a grant to study pediatric lung disease at Stanford University in California. The Institute of Pulmonology at Schneider Children’s is the largest pediatric center of its kind in the country and annually treats about 6,000 youngsters. The staff in the Institute treats the full range of existing lung and airway passages diseases, from all degrees of asthma severity to debilitating and complex conditions such as Cystic Fibrosis and Muscular Dystrophy while emphasizing the special needs of their young patients.